Friday, Successful launch at PSLV from FLP, SDSC SHAR, India. Click for PSLV-C28 Mission page & Youtube Launch Video. Antennas successfully deployed and beacon switched on. First packets received by AMSAT’er Ken Swaggart W7KKE in Lincoln, OR, USA at 20:29. First packets received by Surrey Space Centre’s Satellite Operations Centre at 22:21:51 which confirmed satellite state. The DOS Team declare the satellite healthy from downlinked telemetry. Saturday, first telemetry uplink requests set and successfully received back in the operations centre. Communication tests activated to confirm satellite mode operations. Monday, communications tests complete. The team declare the uplink and downlink as sufficient to facilitate the full mission operations. Thursday, Transition from Launch & Early Operations (LEOP) Communication Mode to Nominal Communication Mode after further uplink tests. Friday, Begin early ADCS commissioning. Week commencing 20th July: Attitude Determination & Control System (ADCS) Commissioning phase to obtain attitude data. After three or four weeks: End ADCS Commissioning phase with a stable attitude. In one month: Payload commissioning phase – solar panel and sail deployment which completes all major operations before deorbiting. The exciting news is that FUNcube-1 CubeSat is now en-route to the Yasny launch site. It was flown on a special flight from Rotterdam yesterday and it cleared through Russian customs this morning. Well before the launch date, Dashboard software, to decode and display the telemetry, will be made available for download, this will function on any windows pc or laptop using either a Dongle or a 2 metre SSB capable receiver. Additionally a set of pre-launch keps will also be distributed. This launch is expected to carry more than ten spacecraft using the amateur satellite service and one of them will, itself, later deploy up to nine CubeSats and PocketQubes so there should be plenty of new signals to listen for after this launch. AMSAT-UK representative Howard Long, G6LVB, in his presentation at the AMSAT Forum at the 2013 Dayton Hamvention describes recent activities at AMSAT-UK. 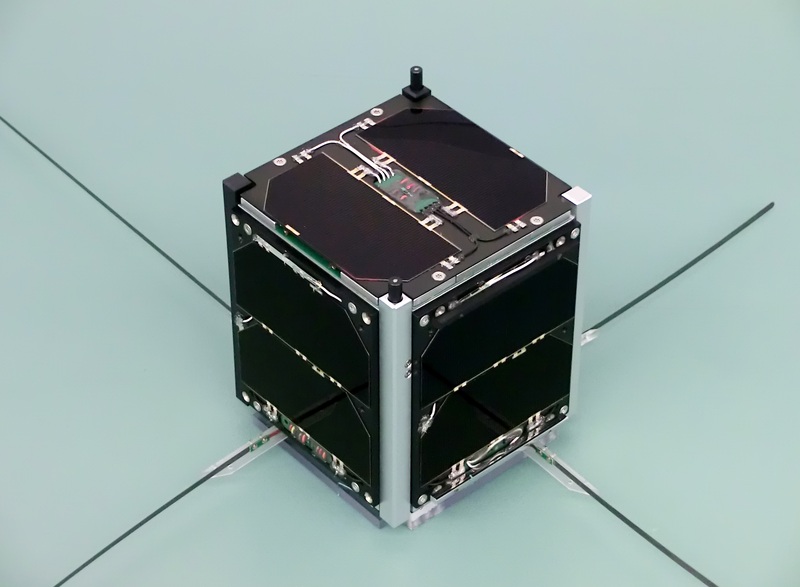 FUNcube-1 and UKube-1 (which carries the FUNcube-2 boards) both have dual STEM education and ham radio missions, including SSB/CW linear transponders. Howard also touches on the FUNcube ground station for schools using the FUNcube Dongle Software Defined Radio (SDR) and preliminary plans for other satellites. It is expected that FUNcube-1 wil be launched around November 2013 on a Dnepr rocket from from Dombarovsky near Yasny. 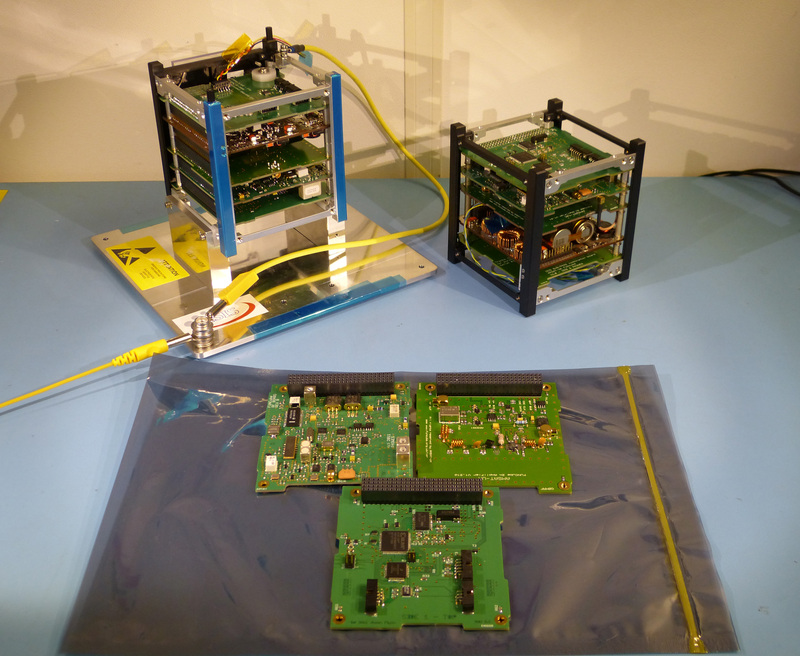 UKube-1 with the FUNcube-2 boards currently plans to launch in the 3rd quarter of 2013 from Baikonur in Kazakhstan on a Soyuz-2. AMSAT-UK is pleased to announce that we can now offer Electronic E-membership at a reduced rate. Founded in 1975 AMSAT-UK is a voluntary organisation that supports the design and building of equipment for Amateur Radio Satellites. 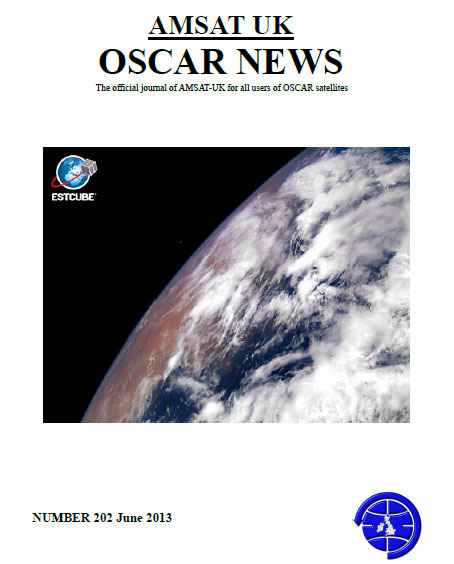 AMSAT-UK initially produced a short bulletin called OSCAR News to give members advice on amateur satellite communications. Since those early days OSCAR News has grown in size and the print quality has improved beyond recognition. Today, OSCAR News is produced as a high-quality quarterly colour A4 magazine consisting of up to 40 pages of news, information and comment about amateur radio space communications. The new E-membership will provide OSCAR News as a downloadable PDF file and members will have the freedom to read it on their Tablets or Smartphones anytime, anyplace, anywhere. An additional advantage is that the PDF should be available for download up to 2 weeks before the paper copy is posted. E-membership should be especially beneficial to Overseas members who have suffered from high postal charges and long delivery times. The AMSAT-UK membership year runs from January 1 to December 31. Why not take the opportunity to renew your 2013 membership as an E-member.